Since 1993, Bonfe has provided reliable home repair services to homeowners all across the Twin Cities metro area. From heating and air conditioning services to plumbing and electrical repair, you can trust our experienced home service experts to get the job done right the first time. All recommended Repairs and Installations are backed by our lifetime warranty. Keep your heating and air conditioning systems ready to perform during the seasons change. Your home doesn’t come with an instruction manual. But with the Bonfe Peace of Mind plan, you don’t need one. Bonfe’s Peace of Mind plan provides service and security for families with two guaranteed service visits per year plus 15% off additional services. I was experiencing electrical as well as plumbing problems at my home. I texted Bonfe in the evening and quickly received a response. They set up technicians for the following day during the same service time window. they were polite, responsive, and thorough. 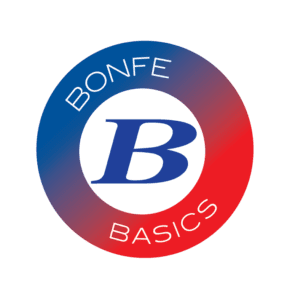 Bonfe is a premium provider focused on high customer service. Their office team communicated updates of arrival times and were very friendly. The on site people were great and focused on providing high customer service. I would highly recommend them to anyone for plumbing and heating. We have been Bonfe peace of mind customers for a while now. Every repair was done in the time frame they said it would be. they are knowledgeable. They are polite. They clean messes if they make one. I will continue to be a peace of mind customer. We had such a great experience today with the technicians that performed our routine maintenance. They were fast, friendly, and provided great insight on how to properly run our furnace and whole house humidifier. Highly recommend this company! As one of Greater St. Paul / Minneapolis’ most recognized brands Bonfe has worked hard to earn a reputation for quality, on-time work, honesty, and trust in the communities surrounding St. Paul, Minneapolis, Minnesota. What you CAN expect from us is options whether you need financing to install a new water heater or need advice on what the best next steps would be on a leaking pipe we are ready to aid you with your home project. Our Minnesota plumbers, heating techs, electricians, and HVAC techs are the best because we only hire the best! Please call us to today with any and all questions we’d be happy to help you!